Opening Hours: 3pm-5am Sun-Thu, 3pm-7am Fri & Sat. 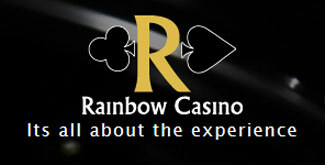 Located on Summer Street, The Rainbow was formerly Gala Casino*, arguably the premier casino in Aberdeen and this casino review was conducted prior to the change in ownership but the salient points have been updated (opening times, etc). It is still a good option for an evening's entertainment complete with multiple gaming and entertainment options with a choice of Roulette, Blackjack, Three Card Poker, Texas Hold'em Poker or electronic gaming machines and of course, the obligatory 20 slots. Fans of slot games can checkout the special Jackpot Zone that sports the latest gaming machines many of which offer jackpots as high as £20,000. You can even hire the facilities for a special party or even a poker event with your friends or colleagues. The casino has a special smoking zone, offers a car valet parking service and the nearest public transport from the Gala Casino is a mere 100 metres away. With weekly special offers, exciting tournaments and a welcome bonus of £10 when you register, the casino is the right place to be if you fancy a night out in Aberdeen. No membership is required to play or dine at Rainbow however patrons may be asked to provide photo identification if they appear to be under the age of 21 or if they intend to gamble more than £1,500 (Rainbow policy). Registration gives guests automatic membership into the loyalty program which allows them to collect reward points every time they eat, drink or play at casino and redeem the points in a number of ways. The Gala Casino is open 7 days a week from 3pm to 7am on Friday and Saturdays and 3pm to 5am on other days. The casino has a special valet menu consisting of all time favourites such as pizzas, burgers, pies and more which can be served at the gaming floor so you can play all night long, undisturbed. Don't forget to try the cocktails which are some of the best in town and offer great value for money. From Monday to Thursday, make the most of the Cheap as Chips night where beers and spirits are priced as low as £1.90 for a pint of Tennants which is one of the many special offers available at Gala. Celebrate birthdays, anniversaries, stag parties or even host a special private poker event for your team at work at the Gala Casino. Speak to the experienced staff at the casino about your requirement and they will organise the event right down to the finest details..
Gala hosts special events such as slot tournaments, sports nights and more. Visit the casino website for more information.